Apple’s Product Manager of Automation Technologies Sal Soghoian is out of a job, and that doesn’t bode well for the future of AppleScript and Automator. 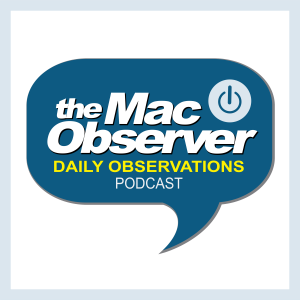 Bryan Chaffin joins Jeff Gamet to talk about what’s likely in store for automation on the Mac, the impact that’s going to have on pro users, and Sal’s efforts to keep automation tools alive. I agree, I am tired of being cranky all the time too. I looked back at some of the things I have written in the last 2-3 weeks and it is nearly all pessimistic. I sound like an android troll. This current state we are in with Macs: seeing things we love and depend on being removed; product stagnation; things that are added are unnecessary bloat; all while competitors release new and exciting things. Is this what being a Windows user felt during the 2005-2012 Apple years? I would very much like to go back to being excited about Macs. I just don’t understand why Apple is afraid to communicate with professionals about some of its plans. I can understand keeping all the consumer targeted stuff top-secret because the element of surprise is part of the Apple magic. But with professionals, we need some level of predictability. I am not asking Apple to even do full reveals for Pro stuff. Can you imagine if Apple would simply say, “hey, new Mac Pros will be announced in January and start shipping in February”. That is it, that is all Apple needs to say to confirm that the Mac Pro isn’t a dead product line. They don’t even need to tell us what it is going to be, just that there is actually something coming, and much of the Pro angst will be abated. Something I like that AMD is doing with their professional drivers for workstation graphics cards is scheduled updates. AMD said that new driver updates for professional cards will now be released ever quarter so that professionals can plan ahead and schedule updates, instead of randomly being surprised at a flurry of updates sprinkled throughout the year. If Apple wants to make professionals less cranky then they need to give us a rough outline of what to expect. Again, it doesn’t have to be detailed, just a simple outline will do. Thanks, Sal – maybe you can continue and write an App like AppleScript for Linux.